Niall Horan, the Irish member of boyband One Direction, is having his fame taken a whole new level as he and his bandmates are being immortalized as wax figures for Madam Tussaud’s. 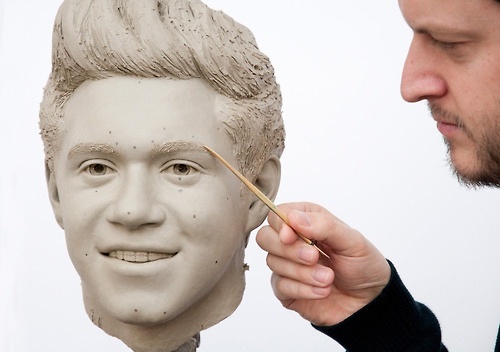 Horan, a native of Mullingar, was on hand to give some finishing touches to his statue. However, the lively Irishman wasn’t too easy to work with, said the statue’s artist Dave Burks. The quintet of wax figures are due to be unveiled in London later this month, and will be toured in New York City and Sydney afterwards.